EGF816 is a novel covalent inhibitor of mutant-selective EGFR; overcomes T790M-mediated resistance in NSCLC. In November 2015, FDA approved osimertinib (Tagrisso™) for the treatment of patients with metastatic EGFR T790M mutation-positive NSCLC, who have progressed on or after EGFR TKI therapy. Based on the clinical performance of the third generation EGFR drugs, more regulatory approvals can be expected. 1060 (m, 2H), 4.31-4.03 (m, 1H), 3.84-2.98 (m, 4H), 1.98-1.60 (m, 5H), 1.46-1.39 (m, 10H); MS calculated for Ci7H25ClN304 (M+H+) 370.15, found 370.10. 1065 organic phase was washed with brine, dried with Na2S04 and concentrated in vacuo to afford (R)-tert-butyl 3-((2-amino-6-chlorophenyl)amino)azepane-l -carboxylate (I-26b). MS calculated for Ci7H27ClN302 (M+H+) 340.17, found 340.10. The crude was used in the next step without further purification. 1095 3.5H), 1.41 (s, 5.5H); MS calculated for C25H3iClN503 (M+H+) 484.20, found 484.20. C2oH23ClN50 (M+H+) 384.15, found 384.20. (M+H+) 495.22, found 495.10. Melting point (1 14.6 °C). 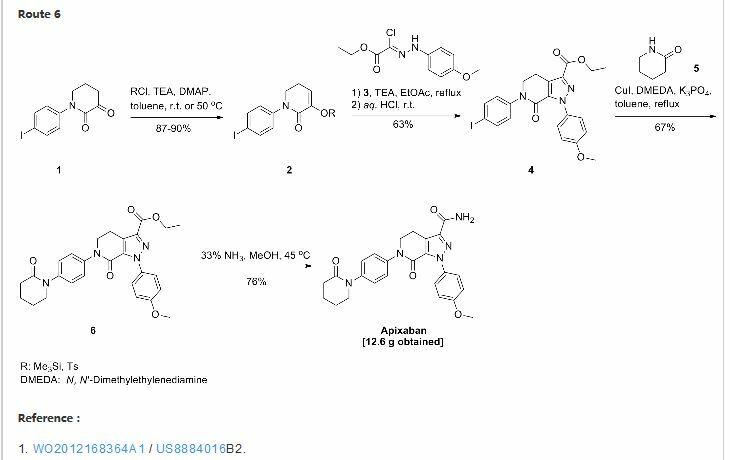 Step A: (R)-tert- butyl 3-((2-chloro-6-nitrophenyl)amino)azepane-l-carboxylate (I-26a) was prepared following procedures analogous to 1-15, Step A, using the appropriate starting materials. 1H-NMR (400MHz, CDC13): d 8.00-7.91 (m, 1H), 7.58-7.49 (m, 1H), 7.02-6.51 (m, 2H), 4.31-4.03 (m, 1H), 3.84-2.98 (m, 4H), 1.98-1.60 (m, 5H), 1.46-1.39 (m, 10H); MS calculated for Ci7H25ClN304 (M+H+) 370.15, found 370.10. (22 mL) was stirred at room temperature for 2 h. The reaction was basified with saturated aqueous Na2CC>3 solution, filtered, and extracted with EtOAc (3 x 80 mL). The combined organic phase was washed with brine, dried with Na2S04 and concentrated in vacuum to afford (R)-tert-butyl 3-((2-amino-6-chlorophenyl)amino)azepane-l-carboxylate (I-26b). MS calculated for C17H27CIN3O2 (M+H+) 340.17, found 340.10. The crude was used in the next step without further purification. 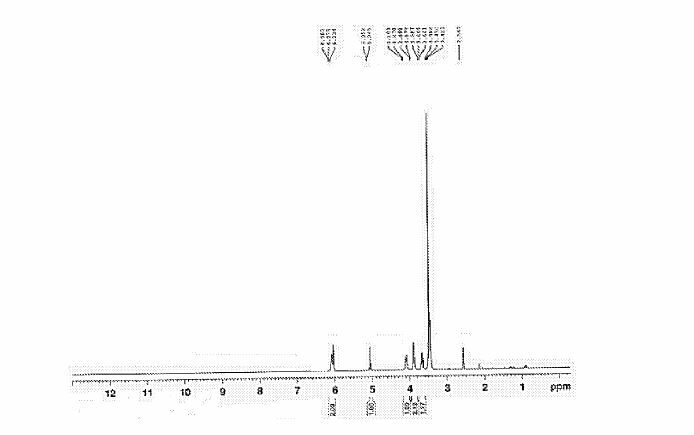 Step C: The title compound (Intermediate 26) was prepared from I-26b following procedures analogous to 1-15, Step C. ‘H-NMR (400MHZ, CDCI3): d 7.34-7.26 (m, 1H), 7.04-6.97 (m, 2H), 6.05-5.85 (m, 1H), 5.84-5.72 (m, 1H), 5.50-5.37 (m, 0.5H), 5.10-4.80(m, 0.5H), 4.41-4.23(m, 1H), 4.09-3.96(m, 0.5H), 3.94-3.81 (m, 1H), 3.76-3.57 (m, 1H), 3.22-3.14 (m, 0.5H), 2.84-2.63 (m, 1H), 2.34-2.17 (m, 1H), 2.07-1.84 (m, 1H), 1.82-1.64 (m, 2H), 1.53 (s, 9H), 1.48-1.37 (m, 1H); MS calculated for Ci8H26ClN402(M+H+) 365.17, found 365.10. 4.07-3.92 (m, 1H), 3.79-3.71 (m, 0.5H), 3.41-3.35 (m, 0.5H), 3.29-3.23 (m, 1H), 2.71-2.59 (m, 1H), 2.65 (s, 3H), 2.22-2.00 (m, 3H), 1.93-1.80 (m, 1H), 1.51-1.45 (m, 1H), 1.50 (s, 3.5H), 1.41 (s, 5.5H); MS calculated for C25H3iClN503 (M+H+) 484.20, found 484.20. C20H23CIN5O (M+H+) 384.15, found 384.20. A mixture of (E)-4-(dimethylamino)but-2-enoic acid hydrochloride (58 mg, 0.35 mmol) and l -ethyl-3-(3-dimethylaminopropyl)carbodiimide hydrochloride (67 mg, 0.35 mmol) in DMF (2 mL) was treated with hydroxybenzotriazole (54 mg, 0.35 mmol) and stirred at room temperature for 1 h. The resulting mixture was added to a solution of 1-27 (100 mg, 0.22 mmol) in DMF (2 mL). Triethylamine (199 mg, 1.97 mmol) was then added and the mixture was stirred for 5 days. Water (2 mL) was added and the mixture was concentrated under reduced pressure. The residue was diluted with IN NaOH (20 mL) and extracted with EtOAc (3 x 50 mL). The combined organic layers were washed with water (50 mL) and brine (2 x 50 mL), dried over Na2S04, and concentrated under reduced pressure. The crude was purified by column chromatography (9: 1 :0.175N CH2Cl2/MeOH/NH3 in CH2C12, 0% to 100%) to afford the title compound. 1H NMR (400 MHz, DMSO-d6) δ 8.59 (d, J = 4.8 Hz, 1H), 7.89 (s, 1H), 7.79 (d, J = 4.8 Hz, 1H), 7.60 (d, J = 7.5 Hz, 1H), 7.30-7.22 (m, 2H), 6.71-6.65 (m, 1H), 6.57-6.54 (m, 1H), 5.54 (br. s, 1H), 4.54 (br. s, 1H), 4.20 (br s, 1H), 3.95 (br s, 1H), 3.48 (br s, 1H), 2.98 (br s, 2H), 2.72 (d, J = 12.0 Hz, 1H), 2.58 (s, 3H), 2.14 (br s, 6H), 2.05 (d, J = 6.7 Hz, 3H), 1.88 (br s, 1H), 1.46 (d, J=11.3 Hz, 1H); MS calculated for C26H32C1N602 (M+H+) 495.22, found 495.10. Melting point (114.6 °C). 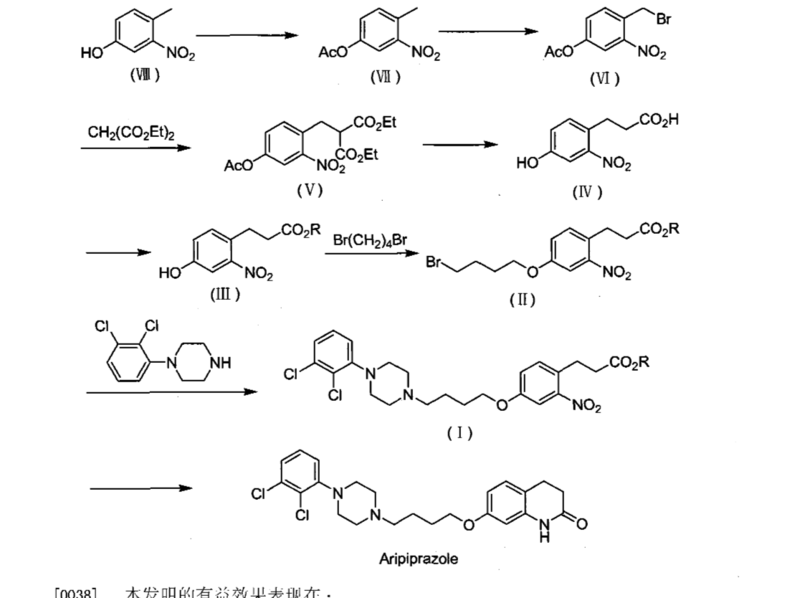 Step A: (R)-tert-butyl 3-((2-chloro-6-nitrophenyl)amino)azepane-l-carboxylate (I- 26a) was prepared following procedures analogous to 1-15, Step A, using the appropriate starting materials. 1 H-NMR (400MHz, CDC13): d 8.00-7.91 (m, 1H), 7.58-7.49 (m, 1H), 7.02-6.51 (m, 2H), 4.31-4.03 (m, 1H), 3.84-2.98 (m, 4H), 1.98-1.60 (m, 5H), 1.46-1.39 (m, 10H); MS calculated for C17H25CIN3O4 (M+H+) 370.15, found 370.10. Step B: A mixture of I-26a (7.5 g, 19.5 mmol) and Zn (12.8 mg, 195 mmol) in AcOH (22 mL) was stirred at room temperature for 2 h. The reaction was basified with saturated aqueous Na2CC>3 solution, filtered, and extracted with EtOAc (3 x 80 mL). The combined organic phase was washed with brine, dried with Na2S04 and concentrated in vacuo to afford (R)-tert-butyl 3-((2-amino-6-chlorophenyl)amino)azepane-l-carboxylate (I-26b). MS calculated for Ci7H27ClN302 (M+H+) 340.17, found 340.10. The crude was used in the next step without further purification. 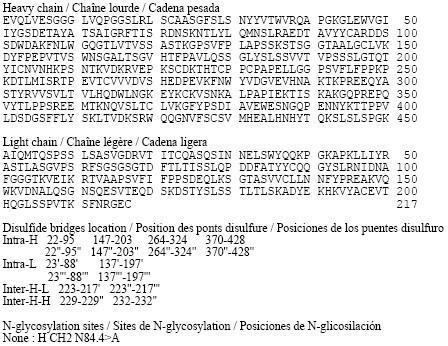 Step C: The title compound (Intermediate 26) was prepared from I-26b following procedures analogous to 1-15, Step C. ]H-NMR (400MHz, CDC13): d 7. ,34-7.26 (m, 1H), 7.04-6.97 (m, 2H), 6.05-5.85 (m, 1H), 5.84-5.72 (m, 1H), 5.50-5.37 (m, 0.5H), 5.10- 4.80(m, 0.5H), 4.41-4.23(m, 1H), 4.09-3.96(m, 0.5H), 3.94-3.81 (m, 1H), 3.76-3.57 (m, 1H), 3.22-3.14 (m, 0.5H), 2.84-2.63 (m, 1H), 2.34-2.17 (m, 1H), 2.07-1.84 (m, 1H), 1.82- 1.64 (m, 2H), 1.53 (s, 9H), 1.48-1.37 (m, 1H); MS calculated for Ci8H26ClN402 (M+H+) 365.17, found 365.10. 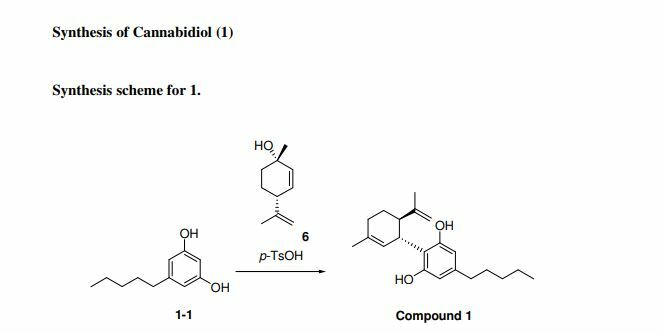 Step A: A mixture of 2-methylisonicotinic acid (3.371 g, 24.6 mmol) and 2-(7-aza- 1H- benzotriazole-l-yl)-l,l,3,3-tetramethyluronium hexafluorophosphate (9.345 g, 24.6 mmol) in CH2C12 (120 ml) was treated at room temperature with NEt3 (4.1 mL, 29.4 mmol). The reaction was stirred for 1 hour before it was slowly added into a CH2C12 solution (45 ml) of 1-26 (5.98 g, 16.4 mmol). Ten minutes later, more NEt3 (4.1 mL, 29.4 mmol) was added and the mixture stirred for 2 h. The mixture was then diluted with CH2C12 (240 mL), washed with H20 (2 x 80 mL), saturated aqueous NaHC03 solution (70 mL), and brine (70 mL). The organic phase was dried with Na2S04, and concentrated under reduced pressure. The crude material was purified by column chromatography (55% EtOAc/hexanes) to afford (R)-tert-butyl 3-(7-chloro-2-(2-methylisonicotinamido)- lH-benzo[d]imidazol-l-yl)azepane-l-carboxylate (I-27a) as a light yellow foam. ]H- NMR (400MHz, CDC13): d 12.81 (br s, IH), 8.65-8.62 (m, IH), 7.95-7.85 (m, 2H), 7.27- 7.11 (m, 3H), 5.64 – 5.51 (m, IH), 4.56-4.44 (m, IH), 4.07-3.92 (m, IH), 3.79-3.71 (m, 0.5H), 3.41-3.35 (m, 0.5H), 3.29-3.23 (m, IH), 2.71-2.59 (m, IH), 2.65 (s, 3H), 2.22-2.00 (m, 3H), 1.93-1.80 (m, IH), 1.51-1.45 (m, IH), 1.50 (s, 3.5H), 1.41 (s, 5.5H); MS calculated for C25H31CIN5O3 (M+H+) 484.20, found 484.20. (Intermediate 27). The product was used in the next step without further purification. A sample was treated with 1M NaOH, extracted with EtOAc, dried with Na2S04 and concentrated under reduced pressure to afford 1-27 as a free base. ]H-NMR (400MHz, CD3CN): d 8.49 (d, J=5.0 Hz, IH), 7.81 (s, IH), 7.72 (d, J=4.8 Hz, IH), 7.50 (br d, J=7.52 Hz, IH), 7.16 – 7.09 (m, 2H), 5.66-5.59 (m, IH), 3.77 (dd, J = 6.54, 14.3 Hz, IH), 3.18 (dd, J = 5.3, 14.3 Hz, IH), 3.05 – 2.98 (m, IH), 2.76-2.69 (m, IH), 2.63-2.53 (m, IH), 2.47 (s, 3H), 2.10-2.03 (m, IH), 1.96-1.93 (m, 2H), 1.86 – 1.75 (m, 2H), 1.61 – 1.54 (m, 2H); MS calculated for C20H23CIN5O (M+H+) 384.15, found 384.20. A mixture of (E)-4-(dimethylamino)but-2-enoic acid hydrochloride (58 mg, 0.35 mmol) and l-ethyl-3-(3-dimethylaminopropyl)carbodiimide hydrochloride (67 mg, 0.35 mmol) in DMF (2 mL) was treated with hydroxybenzotriazole (54 mg, 0.35 mmol) and stirred at room temperature for 1 h. The resulting mixture was added to a solution of 1-27 (100 mg, 0.22 mmol) in DMF (2 mL). Triethylamine (199 mg, 1.97 mmol) was then added and the mixture was stirred for 5 days. Water (2 mL) was added and the mixture was concentrated under reduced pressure. The residue was diluted with IN NaOH (20 mL) and extracted with EtOAc (3 x 50 mL). The combined organic layers were washed with water (50 mL) and brine (2 x 50 mL), dried over Na2SC>4, and concentrated under reduced pressure. The crude was purified by column chromatography (9: 1 :0.175N CH2Cl2/MeOH/NH3 in CH2C12, 0% to 100%) to afford the title compound (Example 5). ]H NMR (400 MHz, DMSO-d6) δ 8.59 (d, J = 4.8 Hz, IH), 7.89 (s, IH), 7.79 (d, J = 4.8 Hz, IH), 7.60 (d, / = 7.5 Hz, IH), 7.30-7.22 (m, 2H), 6.71-6.65 (m, IH), 6.57-6.54 (m, IH), 5.54 (br. s, IH), 4.54 (br. s, IH), 4.20 (br s, IH), 3.95 (br s, IH), 3.48 (br s, IH), 2.98 (br s, 2H), 2.72 (d, / = 12.0 Hz, IH), 2.58 (s, 3H), 2.14 (br s, 6H), 2.05 (d, / = 6.7 Hz, 3H), 1.88 (br s, IH), 1.46 (d, 7=11.3 Hz, IH); MS calculated for C26H32CIN6O2 (M+H+) 495.22, found 495.10. Melting point (114.6 °C). 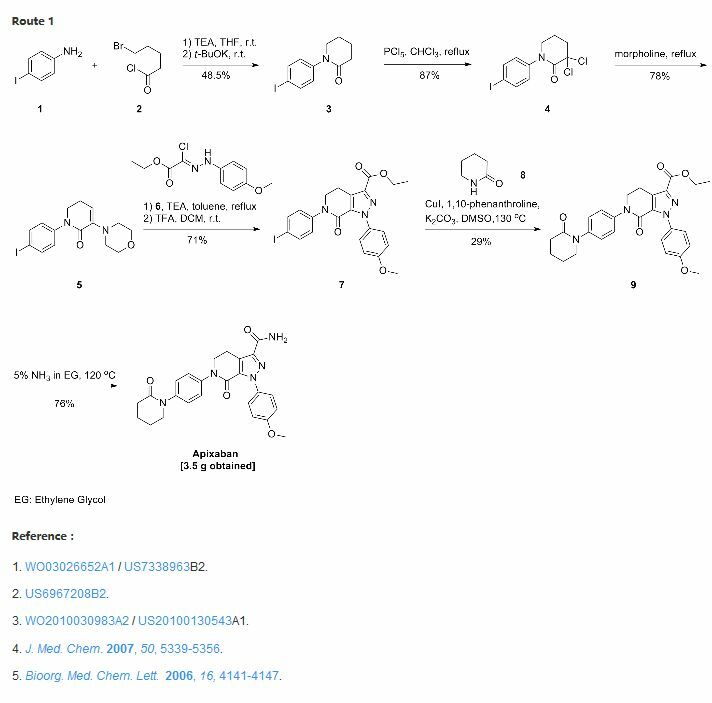 (/?,E)-N-(7-chloro- l-(l-(4-(dimethylamino)but-2-enoyl)azepan-3-yl)-lH- benzo[d]imidazol-2-yl)-2-methylisonicotinamide (1.0 g) was dissolved in acetone (30 mL) by heating to 55°C to form a solution. Methanesulfonic acid (325 μί) was added to acetone (50 mL), and the methanesulfonic acid/acetone (22.2 mL) was added to the solution at 0.05ml/min. Following precipitation, the resulting suspension was cooled to room temperature at 0.5 °C/min, and crystals were collected by filtration, and dried for 4 hours at 40°C under vacuum. The collected crystals (300 mg) were suspended in acetone/H20 (6 mL; v/v=95/5) by heating to 50°C. The suspension was kept slurrying for 16 hours, and cooled to room temperature at 0.5 °C/min. The crystal was collected by filtration and dried for 4 hours at 40°C under vacuum. 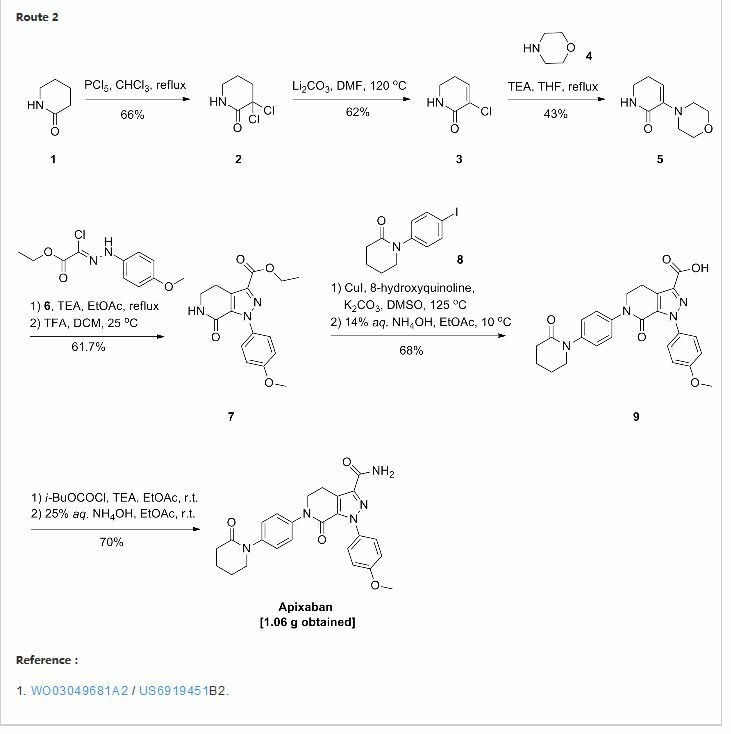 The structure of (7?,£‘)-N-(7-chloro-l-(l-(4-(dimethylamino)but-2-enoyl)azepan-3-yl)- lH-benzo[d]imidazol-2-yl)-2-methylisonicotinamide mesylate was confirmed by Differential Scanning Calorimetry, X-Ray Powder Diffraction, and Elemental Analyses. Melting point (170.1 °C). Theoretical calculated: C (54.8); H (5.9); N (14.2); 0 (13.5); %S (5.4); and C1 (6.0); C:N ratio: 3.86. Found: C (52.0); H (5.8); N (13.3); C1 (5.9); C:N ratio: 3.91. Stoichiometry: 1.01. AACR Annual Meeting 2014; April 5-9, 2014; San Diego, CA. By DR ANTHONY MELVIN CRASTO Ph.D in cancer, Phase2 drugs on March 23, 2016 .